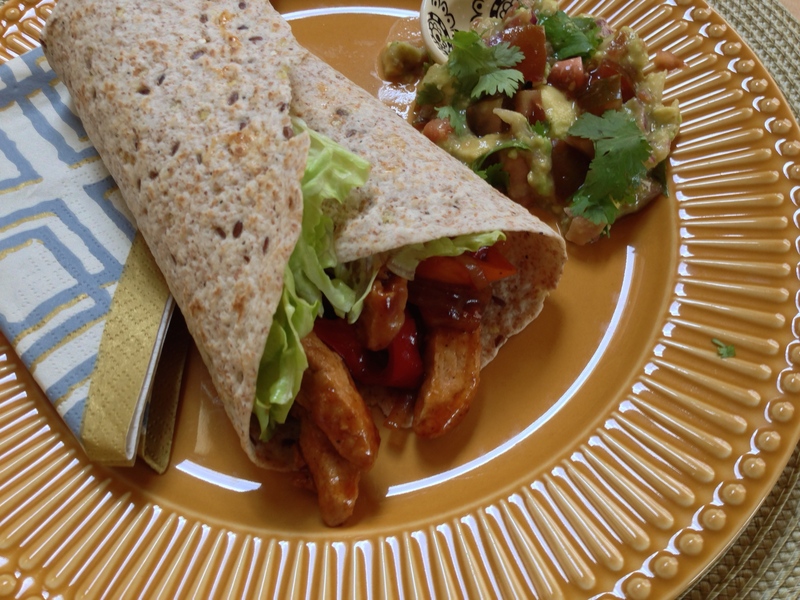 My family loves veggie fajitas.Serve with all kind of tortillas,cheddar cheese, lettuce, tomatoes,sour cream and fresh cilantro. In a large skillet or frying pan, sautee the bell peppers and onion in olive oil. Add the garlic salt, curry powder, chili powder and cayenne pepper and allow to cook, stirring frequently, until peppers and onion are soft, about 5 – 7 minutes,then add Chick’n strips (or any other soya product) and cook through for another 2-3 minutes. Divide the peppers between the four flour tortillas. Add a bit of salsa and sour cream to each ,and serve immediately with a guacamole on side.